The second generation MOMENTUM On-Ear headset brings signature Sennheiser sound to an updated iconic design. Premium components like the stainless steel headband and Alcantara covered headband and ear cushions illustrate precision craftsmanship and exude luxury. The new folding headband design provides greater portability. 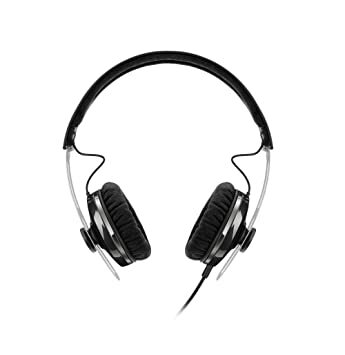 A single-sided detachable cable incorporates an inline remote and mic for controlling music and taking calls. Two versions are available, one for Apple iOS devices and another for Samsung Galaxy devices and most other Android smartphones and tablets. Gen 2 MOMENTUM On-Ear again raises the performance bar for compact premium mobile headsets. Momentum – the force of movement. 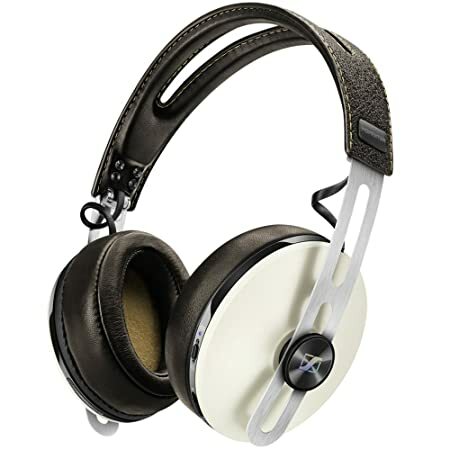 You’ll be moved listening with Sennheiser’s new Momentum headphones. Musically and emotionally moved by sound quality so detailed, so dynamic, so lifelike, you’d swear you were at the performance. A natural and authentic sonic presentation, just as the artist intended. Momentum’s stellar sound quality did not happen by chance. It’s a function of Sennheiser’s legendary engineering process. Decades of transducer design experience combine with new technologies in the pursuit of perfect sound. Premium materials were selected to highlight Momentum sophisticated, iconic design. Metal and leather elements are combined with exceptional fit and finish. These materials were chosen not only for their look and feel, but their sonic characteristics and durability as well. Non-resonant metal ear cups provide structural rigidity to allow the neodymium magnet driven transducers deliver outstanding clarity. Of special note is the leather used for the headband and ear pads. 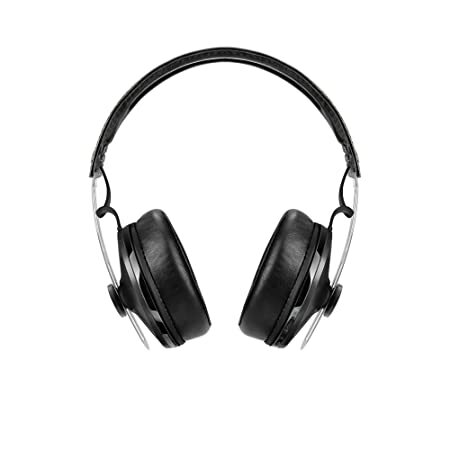 Supplied by internationally renowned British leather manufacturer Petards, it’s absolute softness and breathability deliver luxurious comfort for long listening sessions. 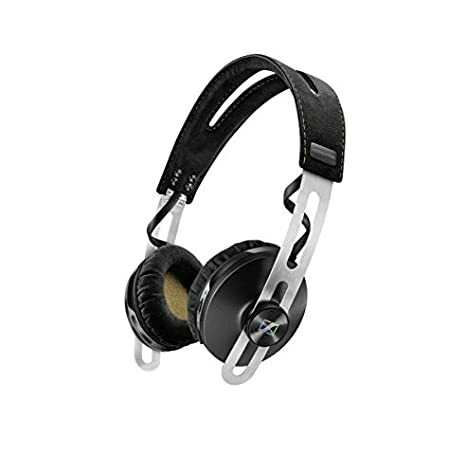 Momentum’s 18-ohm operating impedance and 3.5-mm stereo jack mean this headphone is optimized for premium performance and connectivity to any portable audio device. Two audio cables are supplied, one for standard stereo connection, the other employing an integrated smart remote with microphone for control of Apple products such as the iPad, iPhone or iPod. This is used to adjust volume, select tracks, take phone calls and activate the voice control feature. Momentum – Iconic design and contemporary style for those who are passionate about their music. Let them move you. The new Sennheiser MOMENTUM On-Ear Wireless lets you experience crystal-clear MOMENTUM sound without being attached to a cable. This high-resolution headset sets the benchmark for performance, style and comfort in the wireless headphone category. Bluetooth technology is integrated with engineering expertise to insure MOMENTUM signature sound remains intact. Near Field Communication (NFC) is provided for effortless at a touch Bluetooth pairing with any NFC-enabled device. Further enhancing the audio experience is Noise Gard hybrid active noise cancellation that virtually eliminates unwanted ambient sound. Your voice will sound crystal clear during phone calls thanks to ; dual built-in microphones that dynamically cancel out external interference for perfect speech intelligibility. MOMENTUM On-Ear Wireless features an iconic design using premium components like a stainless steel headband and luxurious Alcantara covered ear cushions. The stainless steel headband is now foldable for easy and compact storage in the supplied premium carry case. You can enjoy MOMENTUM On-Ear Wireless everywhere! MOMENTUM On-Ear. Stunning sound and sensational style. Beautiful and compact, the MOMENTUM On-Ear embodies the style and substance of Sennheiser’s critically acclaimed MOMENTUM headphones in a smaller, lighter, refreshingly fashionable approach. Designed specifically for use with phones, tablets and laptops, MOMENTUM On-Ear is the perfect choice for “on the go” music enthusiasts seeking superb sound quality. MOMENTUM On-Ear employs precision 18-ohm transducers using powerful neodymium magnets. 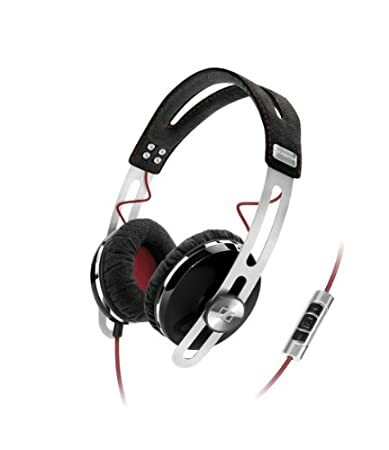 They deliver exceptional detail, superb dynamics and solid bass response. The smooth frequency response has a slightly elevated emphasis in the bass, delivering a full bodied, warm sound. The ear cushions and stainless steel headband are covered in luxurious Alcantara, for exceptional wearing comfort for long listening sessions. MOMENTUM On-Ear is available in a range of fresh pastel and traditional colors carefully selected by an international team of fashion designers. MOMENTUM On-Ear will complement your sense of style while making a statement about your passion for sound quality. The second generation MOMENTUM headset brings signature Sennheiser sound to an updated iconic design. Premium components like the stainless steel headband and real leather covered headband and ear cushions illustrate precision craftsmanship and exude luxury. The new folding headband design provides greater portability. The new slightly larger ear cups feature ergonomically designed, memory foam cushions for improved ambient noise isolation and extreme comfort during long listening sessions. A single-sided detachable cable incorporates an inline remote and mic for controlling music and taking calls. Two versions are available, one for Apple iOS devices and another for Samsung Galaxy devices and most other Android smartphones and tablets. MOMENTUM 2.0 again raises the performance bar for premium mobile headsets. The new Sennheiser MOMENTUM Wireless lets you experience crystal-clear MOMENTUM sound without being attached to a cable. This high-resolution headset sets the benchmark for performance, style and comfort in the wireless headphone category. Bluetooth technology is integrated with engineering expertise to ensure MOMENTUM signature sound remains intact. Near Field Communication (NFC) is provided for effortless at a touch Bluetooth pairing with any NFC-enabled device. Further enhancing the audio experience is Noise Gard hybrid active noise cancellation that virtually eliminates unwanted ambient sound. Your voice will sound crystal clear during phone calls thanks to Voice Max; dual built-in microphones that dynamically cancel out external interference for perfect speech intelligibility. MOMENTUM Wireless features an iconic design using premium materials like stainless steel and real leather. New, slightly larger ear cups using ergonomically designed, memory foam cushions provide extreme comfort for long listening sessions. The stainless steel headband is now foldable for easy and compact storage in the supplied premium carry case. You can enjoy MOMENTUM Wireless everywhere! Momentum On-Ear. Stunning sound and sensational style. Beautiful and compact, the Momentum On-Ear embodies the style and substance of Sennheiser’s critically acclaimed Momentum headphones in a smaller, lighter, refreshingly fashionable approach. Designed specifically for use with phones, tablets and laptops, Momentum On-Ear is the perfect choice for “on the go” music enthusiasts seeking superb sound quality. 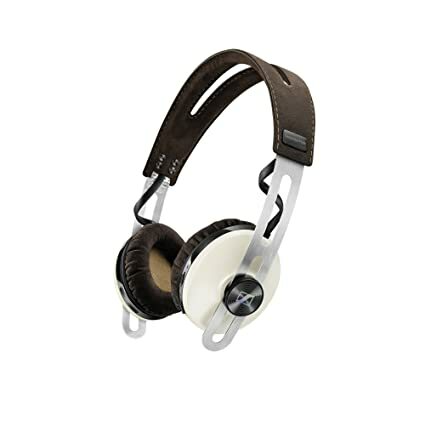 Momentum On-Ear employs precision 18-ohm transducers using powerful neodymium magnets. They deliver exceptional detail, superb dynamics and solid bass response. The smooth frequency response has a slightly elevated emphasis in the bass, delivering a full bodied, warm sound. The ear cushions and stainless steel headband are covered in luxurious Alcan Tara, for exceptional wearing comfort for long listening sessions. Momentum On-Ear is available in a range of fresh pastel colors carefully selected by an international team of fashion designers. Momentum On-Ear will complement your sense of style while making a statement about your passion for sound quality.